See AD 0.1, para. 0.1.4 VFR AIP S.R. Aircraft taxiing has to be performed along RWY in distance minimum of 15m from the edge of the RWY. 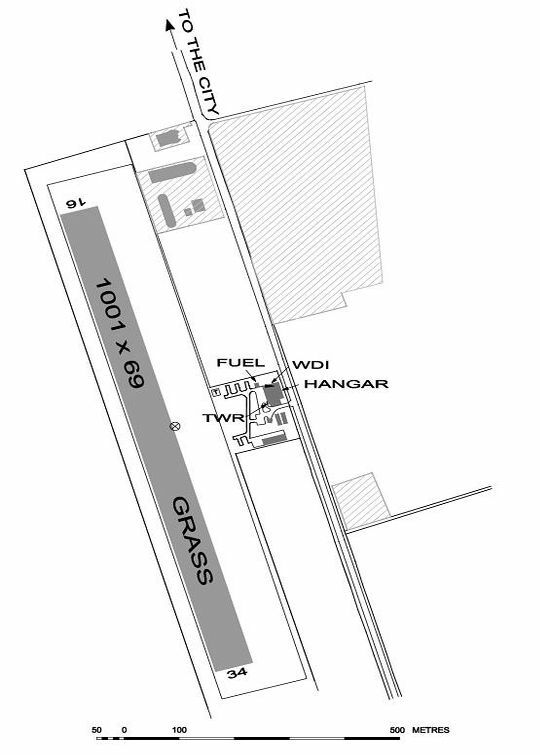 RWY 16 - Right hand circuit. RWY 34 - Left hand circuit. Glider pilots are requested to perform traffic circuits west of the aerodrome. Aeroclub flying school could execute training flights. When crossing Nové Zámky ATZ pilots are requested to avoid Nové Zámky town. During take-off and landing to/from RWY 34, avoid Nové Zámky town, if it safe.